Aerial view of Aire-sur-l'Adour with Town Hall (left center) and the Cathédrale Saint Jean-Baptiste in the foreground. 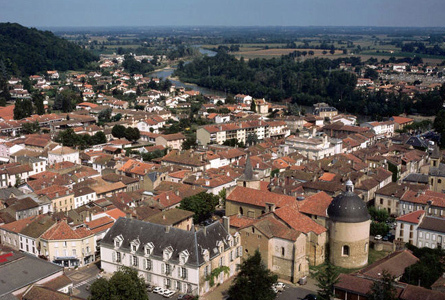 With September and the teaching assistant position in France fast approaching, I’ve learned a bit about the town that will be my home for 7 months, Aire-sur-l’Adour. Aire is named for its place on the Adour river, which winds down from the Pyrenees foothills through the flat wine country of southwestern France before flowing into the Atlantic at the city of Bayonne. 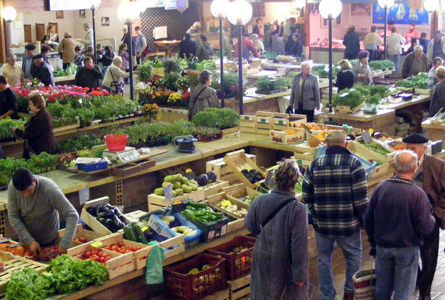 It is situated in one of the most sparsely populated areas of France; at approximately 6,000 inhabitants, Aire is the largest town until Mont-de-Marsan 30 kilometers to its north-west. Aire is 150 km south of Bordeaux, 50 km north of Pau, and approximately 100 km north of the Spanish border. The surrounding countryside includes the 3,000-acre Côtes-de-Saint-Mont vineyard. 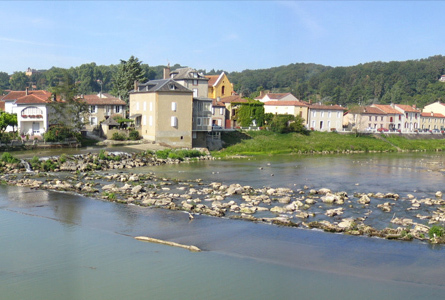 View of downtown Aire-sur-l'Adour as seen from the north bank of the Adour River. Aire’s surroundings provide for a number of outdoor activities, including bicycle touring and all-terrain biking, kayaking, canoing, and hiking. In addition, the town has sports fields, tennis courts, and a municipal swimming pool. The town’s history dates back to a Roman encampment around 50 BCE. Its long history is marked by a number of monuments dating all the way back to the 11th century, and its citizens carry a strong sense of pride in its cultural and historical heritage. 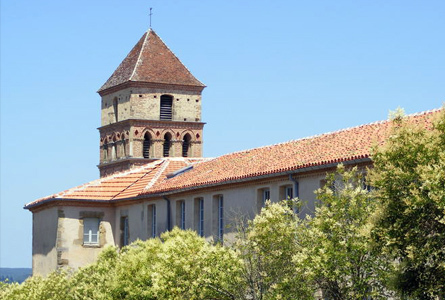 Saint Quitterie Church, dating from the 11th century. 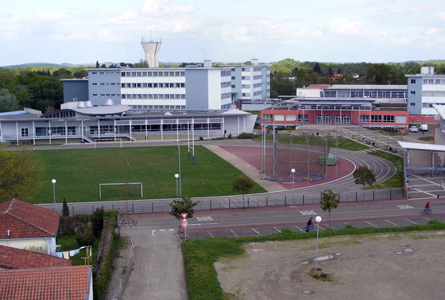 Aire-sur-l’Adour is home to the Cité Scolaire Gaston Crampe, which includes a junior high school, a high school with both general and professional education tracks, and a boarding school. “Bulle d’Aire”, the 4th largest comic book festival in the south of France, held each December. 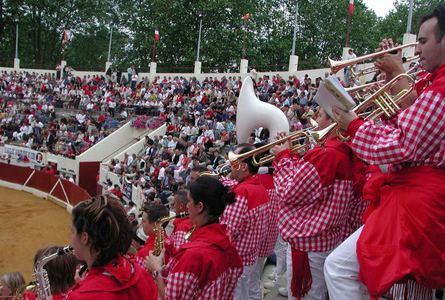 Bullfighting, including a major festival and running of the bulls in June.